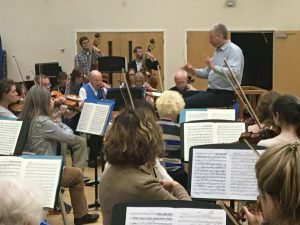 Join us on Saturday 22 December 2018, the orchestra and choir for an evening of Festive Light Music and Carols. 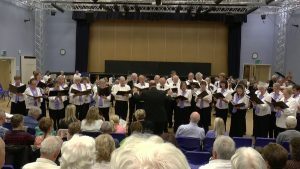 Carols will abound, with a number beautiful choral arrangements sung by the choir, and plenty of audience carols, backed by full orchestra. 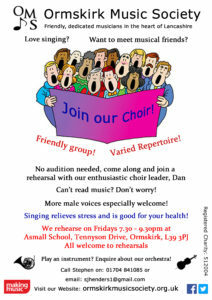 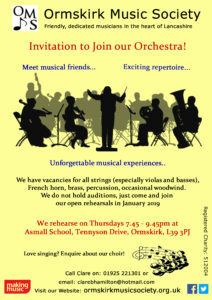 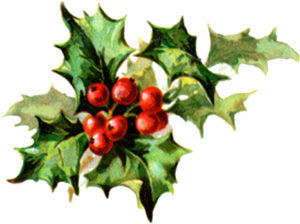 The programme also includes a festive selection of Light orchestral music. 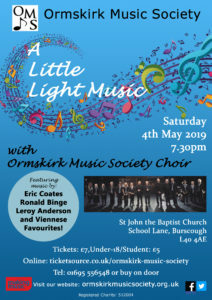 The form was especially popular during the formative years of radio broadcasting, with stations such as the BBC Light Programme featuring a playlist largely consisting of light compositions. 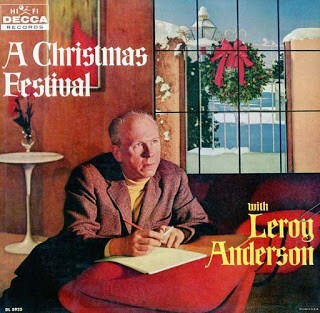 Leroy Anderson, described as “one of the great American masters of light orchestral music” provides the centre-piece: his beautifully orchestrated “Christmas Festival” medley of popular Christmas Carols, with choir, joined by the effervescent ‘Belle of the Ball’ and audience favourite: ‘Sleigh Ride’. 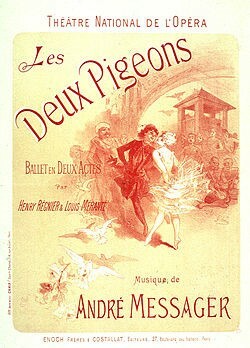 The orchestra will also play André Messager’s sparkling Ballet Suite: “The Two Pigeons”, and several other fun, short pieces, familiar to radio listeners.